spectrum pricing and management, growth of mobile broadband service is expected to continue, with 3G and 4G adoption projected to increase by 31% between 2013 and 2017. 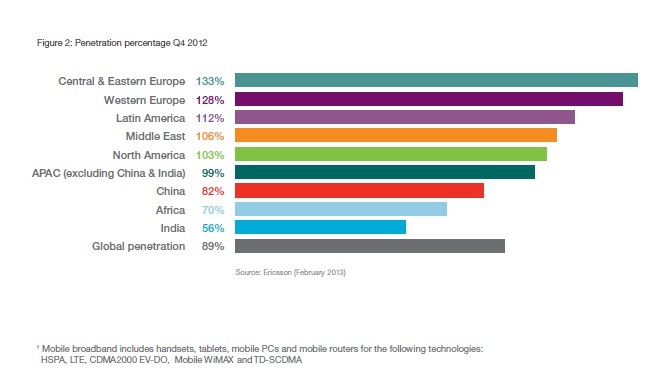 Nevertheless, India still lags behind the world’s major economies in mobile maturity and penetration. Network investment by mobile operators is held back by low tariffs due to the market conditions, an unusually high level of competition, and the financial burden caused by government policies that channel funds away from the sector, such as the high cost of access to spectrum. Indian operators are amongst countries that have the highest debt and lowest profitability ratios in the Asia Pacific region. This affects their ability to upgrade consumer services, meet demand in highly populated urban areas and expand networks to provide coverage to people living in rural areas. Increased penetration of mobile technology in India will bring with it many socio-economic benefits. In Agriculture, mobile solutions improve yields and provide greater access to markets. Greater access to healthcare and reduced mortality are facilitated by mobile solutions, while mobile technology brings financial services to rural and underprivileged communities. With mobile solutions, education for all is a goal that is increasingly within reach. Government and Administration has an important role to play in all of these areas by removing barriers to the integration of mobile solutions in an increasingly connected world. India is taking to the Internet and how! A recently released TRAI states 164.81 million users in India who have internet access. 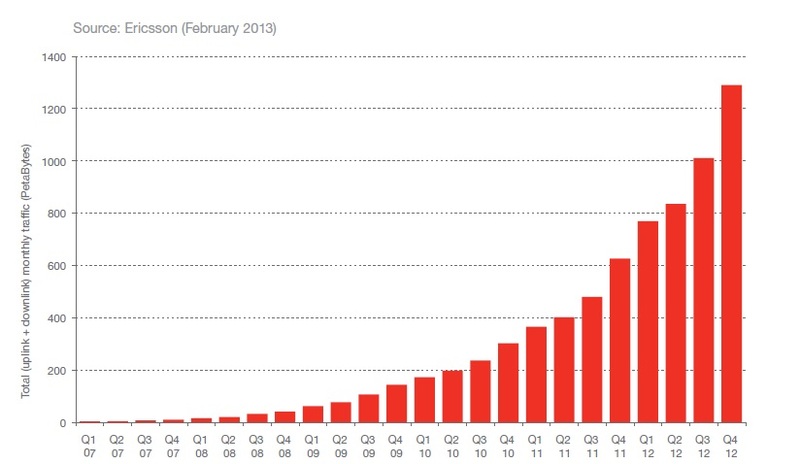 Out of that 143.20 million subscribers access internet through wireless phones, i.e. mobile phones and tablets. This puts 87% data users in India access internet through mobiles. TRAI data also reports negative growth in the Indian telecom sector. According to data released by TRAI today, the number of telephone subscribers in India increased from 895.51 million at the end of December 2012 to 898.02 million at the end of March this year, registering a growth of 0.28 per cent over the previous quarter Dec-12. This reflects year-on-year (Y-O-Y) negative growth of 5.61 per cent over the same quarter of last year. Interestingly, urban teledensity declined from 149.90 to 146.96 whereas rural subscription increased from 338.54 million to 349.22 million, and rural teledensity increased from 39.85 to 41.02. Monthly Average Revenue Per User (ARPU) for GSM service has been increased by 6.99 per cent, from 98 in December 2012 to 105 in March this year, with YoY increase of 7.84 per cent. Android – Google’s best strategic move ever? 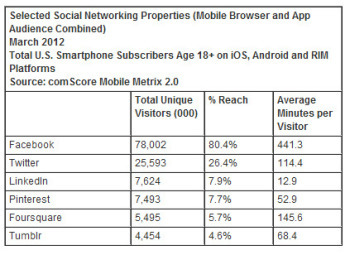 Android controls 70% of the Smartphone volumes in 2012. Over the last 4 years, ever since Google launched Android, this has been one huge success story. In this post, i am looking at the 3 factors that have fueled the Android’s success story. The success generated by Android is across three key levels – Present day revenues for Google,Access to mobility for Google and generating intelligence and information about the user – creating profile and semantic patterns which is the future of advertising as we know it. While Google’s intent behind Android was such that it was not completely shut out of the mobile Internet by a dominant OS provider. The initial fears were around the dominance of Microsoft which in the post 2007-iPhone era came to be Apple. However, it just did better – it went on to become the dominant OS in Mobiles and handhelds itself. We all know that Google makes almost all of its money on ad revenue – 94% of Google Q4 revenues were based on advertising. Of this $8bn was generated by mobile devices of which, analysts now expect $5bn of 2013 Google Ad revenue to be from tablets alone! That makes it seem like a pretty solid investment for Google to pay whatever it does to be the default search engine in iOS ($1 billion/annual), since the iPad still holds close to half of tablet sales. Android is Google’s footprint on mobile- An Android device, properly signed into a Google account and running all the Google Apps, generates an endless stream of little bits of ‘signalling’ information, way beyond what Google gets from a desktop search user even if they’re using Chrome. It knows where the user lives and works, how he commutes – and which phone numbers on web ads he dials. All interactions with Search, Maps and anything else can be linked together. Android, allows Google to tie searches and advertising to individual people and places. In the long term, the data that Google gets from Android users is probably just as important as Pagerank in understanding intent and relevance in search. The real structural benefit to Google from Android now comes from the understanding it gives of actual users, and the threat comes from devices that do not provide this data. It is quite possible that even Google didnot see the scale of success of Android – Not only did it mark Google’s entry on mobiles, it also is generating revenue and most valuable user information. Convergence has been the buzz word for a good part of the last decade and will continue to do so in this decade as well. However, for the discerning the definition or at least the meaning of convergence has now shifted from device convergence to technology convergence. The later being the superset of which devices are just another maifestation. So earlier its was the camera, the mobile phone, the GPS, the MP3 player and other such device charecterestics that really converged. However, in the present context it is the convergence of enabling technologies and the three big technologies that seem to be convergent at this time are: Mobility, Cloud Services and Big Data. However, it is a relatively small lynchpin that drives the convergence of these three mega trends. Small in terms of what it is, but large in terms of the innovation spurts that it provides. The key here is APIs or Application programming Interfaces. APIs tie together the mega-trends in a fundamental and unalterable way. APIs are the lingua franca of the new wave in internet of all things combined with super mobility and seamless connectivity. In my mind, each of these three technology trends (on their own) will be on the fast track to commoditization and will risk facing the same fate as did most social business software plays. The magic and the premiums will come from contextual application of this innovation and smart integration. To stake a few examples, Box.net as storage without document and device sync and collaboration is commodity. Apple’s iCloud as storage without ubiquitous local and iTunes media sync across devices is commodity. And Google Drive (as discussed here in Ben Kepes’ CloudU community) is also a commodity business not worth getting into had it not been for Google’s services such as Google Apps, Piccasa, and its media and unified communication capabilities under the Google Plus brand. c) insanely focused and simple interfaces to complex backends. Thats where money would be made in these commoditized services. APIs provide the integration through the value creation network. The only other differentiator in this case being experience! As the mobility revolution matures and smartphones start penetrating lower price brackets, Microprocessor chip makers such as Qualcomm and NVIDIA are becoming the superpowers of computing devices. According to a recent release by NVIDIA, revenue from NVIDIA’s mobile chip unit projected to mushroom tenfold by 2015, to a whopping $20 billion. Mobile processing sector will see very robust growth in the next 5 year horizon. It is estimated that there are about 100 million devices that will need chips this year — a figure that could soon rise to one billion, on the strength of more affordable smartphones, efficient ARM processors and the rise of ultra-thin notebooks. Between 2011-15, Gartner expects 4 billion smartphones being sold. 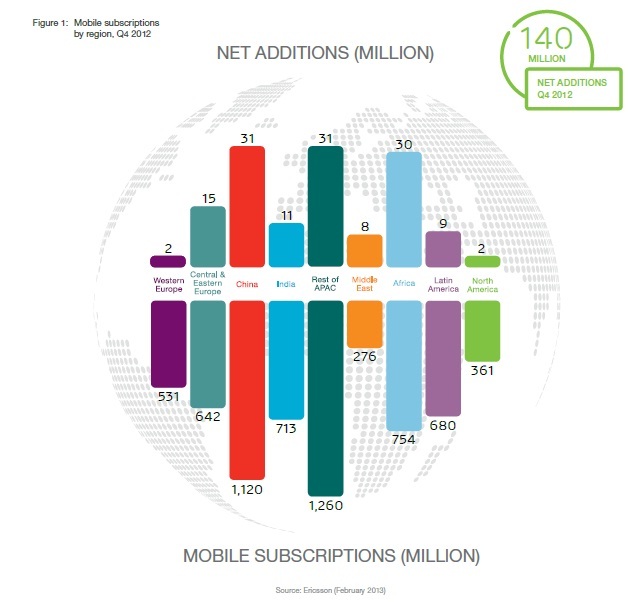 Personally the 4bn number for smartphones appears to be a stretch given that it took Telecom industry a good decade and more to have 4bn subscribers on mobile networks. However, there are very many factors including price, better networks and mainstreaming of Internet that should benefit the massification of smartphones and tablets. 1. Even while the demand for higher computing power increases and we would see more and more of dual and quad core processors, demand for graphics performance is also slated to increase. 2. Cloud based, Version and Platform independent technologies such as Microsoft’s Silverlight will play also feature in major roles in future cloud-based developments. 4. The only spanner in the wheel is that the ongoing patent wars between tablet and smartphone manufacturers may be a dampener to the growth projections for mobile computing even while immediate impact of the patent wars on mobile computing eco-system will not be too high .